It is almost that time of year again when your kids are heading back to school. While you enjoyed the summer with your children and wish you could prolong the summer schedule for a little longer, like all parents you want them to start the year off right. This means the need for supplies, which cost money. And while you will most likely have to acquire some new items, you don’t have to go overboard with your back-to-school shopping. There is a good chance you had to do some summer budgeting to make sure you could achieve what you wanted to, such as vacations or sending your kids to camp, while also keeping a healthy balance in your bank account. When it comes to school finances, you should keep this same mentality. Expenses don’t end when your children go back to school, and it is important to have a budget established for the beginning of the school year. While some items might still be in good shape from previous years, others will need to be purchased new. Make sure you have a plan in place and know how much these items are going to cost you so you can plan accordingly. Your children’s teachers should provide you with a list of what supplies the kids will need. Don’t just assume you already know, as some teachers might have more specifications than others. Additionally, you can keep your eyes peeled for deals as the date approaches. 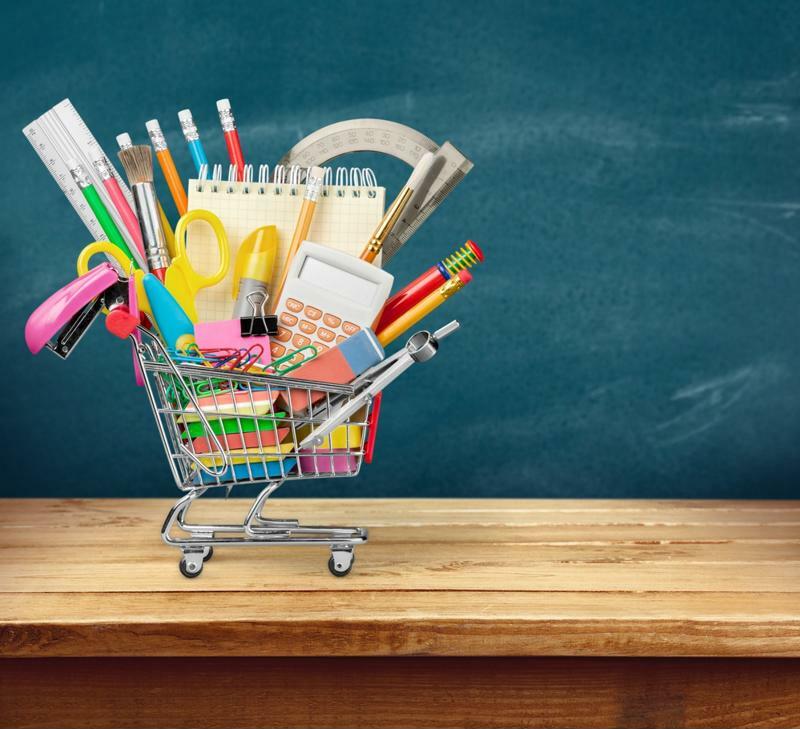 According to Daily Finance, you should periodically check various stores and websites to find out when back-to-school sales are happening, and you should plan on shopping those sales once you find out what exactly what you need. After making your list, check your closets or drawers for what you may already have. You might have pens or markers lying around from the year before. Additionally, your children’s backpacks are likely in working order. But there are some items that will need to be replaced, such as folders that easily get flimsy after a year of being stuffed in and out of backpacks. Notebooks are another item, especially spiral notebooks that become crooked and caught on each other. Make a pile of these items you have in your home and cross them off your list. If you have friends or family members with children of similar ages, swapping supplies can be beneficial. This is especially true for clothes, as young children grow out of clothes so quickly. Whether your children have to wear a uniform everyday or not, accepting hand-me-downs can save you a lot of money at the beginning of the school year. Don’t spend a fortune on back-to-school supplies. Shopping local is great for the community and it can be easy for you to find what you need nearby. However, this is not always the cheapest route. There are many online stores that will have just about everything you are looking for, often times for less money. Whether you are checking department store websites or online-only sites like Amazon, make sure you take shipping and convenience charges into account. According to Bankrate, many online retailers will seek to take advantage of the time of year by offering free shipping in addition to other deals. Online shopping can also help you stay within your budget, as you will be selecting only the items that are on your list. When you are walking through the aisles of a store you might be more inclined to pick up a few things you don’t need, whether because you think your child will like them or because you just can’t make a decision between two items. This is especially true if your children are with you when you are shopping. You can eliminate these tendencies by getting your shopping done online. When shopping for back-to-school supplies it can be easy to get ahead of yourself. Naturally, you want the trendiest and most fun items for your children, and some of these you can certainly get if you plan the sales right and map out your budget. But what is important is to stick to your list and get your children the items that are necessary. This will help maintain a healthy bank account.